Both teenagers were told to cut their hair if they wanted jobs at the Arlington theme park, says Fort Worth Star Telegram. Brandon Kobe Pierce, 16, told WFAA TV that he has worn his hair in a braid that just reaches his shoulders throughout his life. He recently interviewed a job at Six Flags Over Texas, and the interviewers told him that his braid would not be allowed. Pierce said he left the interview emotionally because he considered the braid part of his identity. The six flags interviewers told him that female employees are allowed to put long hair in a bowl, but the male employees do not have that opportunity. "If girls are able to pull their hair back and get it far, then boys should not cut their hair," he said. Keiron Washington, 17, told local media that he had a similar experience. The teenager interviewed at Six Flags and was told he should cut his shoulder-length dreadlocks he had grown for years. "They told me I couldn't have dreads because it's more of an extreme hairstyle" Washington told NBC DFW. Washington's mother, Karis Washington, called Six Flags Human Resources Department to request a more detailed explanation. "She said dreads are not allowed, but he may have braids. They are an extreme hairstyle," wrote Karis Washington. in a Facebook post. "She also continued and compared them to tattoos and piercings." The Facebook post had more than 17,000 shares from Saturday afternoon. "Why cut his hair for a seasonal job and for $ 7- $ 9 an hour? If it was a career, another story," Karis Washington told NBC DFW. 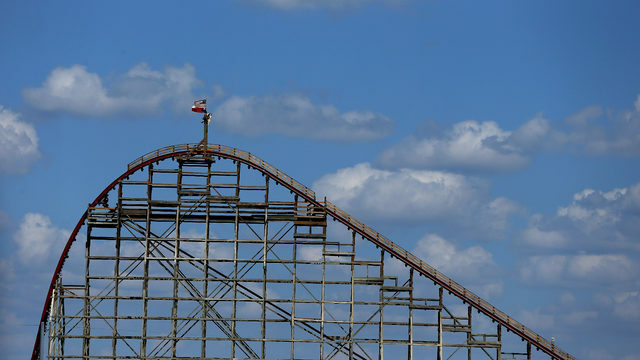 "Six Flags is one of the largest seasonal workers in the country employing more than 30,000 team members across 26 parks annually. We maintain a business-wide care code that includes standard uniforms for frontline members and no extreme hairstyles like drastic variations in hair color, locks or partially shaved heads, we also allow braids, and we also recognize that some team members may request accommodation for our care code for religious, cultural or medical reasons. with these team members on a case by case basis to address his or her individual neds. "